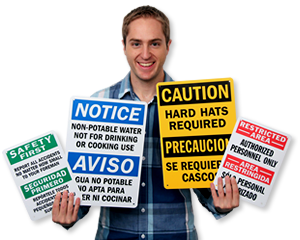 Find hundreds of top-quality Bilingual, including Spanish, signs and labels for businesses, schools and offices, and any other desired location all for the best prices! • La seguridad ante todo! Make sure everyone knows the rules with signs in Spanish with or without English translation. For Bilingual Signs in other languages that include English translation contact us. • With over 300 Bilingual Signs within your reach you can maximize awareness of property, safety, parking and much more for wherever you are. 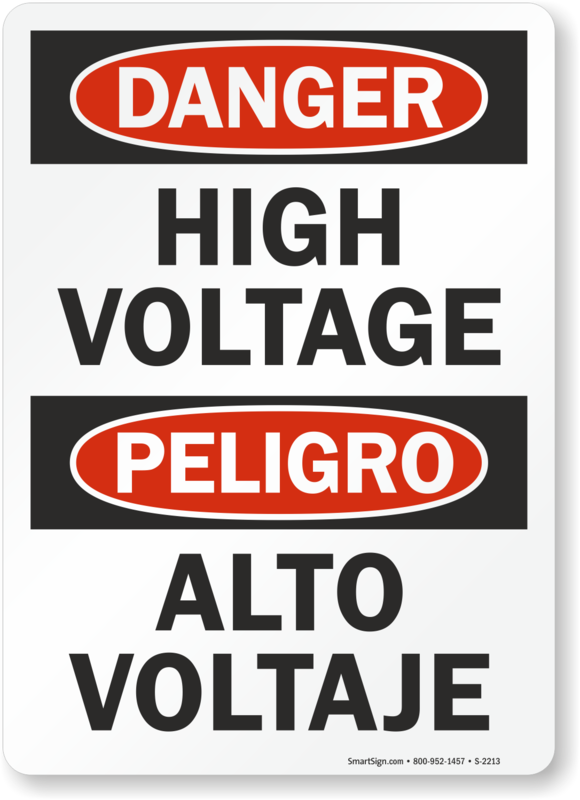 Not only are these signs important for safety, they are a must for the huge multi-lingual population in the US. • Buy a stock template, or, if you are having trouble finding one for your specific needs customize your own Bilingual Sign! • Our weatherproof and rustproof Bilingual Signs are guaranteed to last 10 years outdoors and up to 15 years indoors.